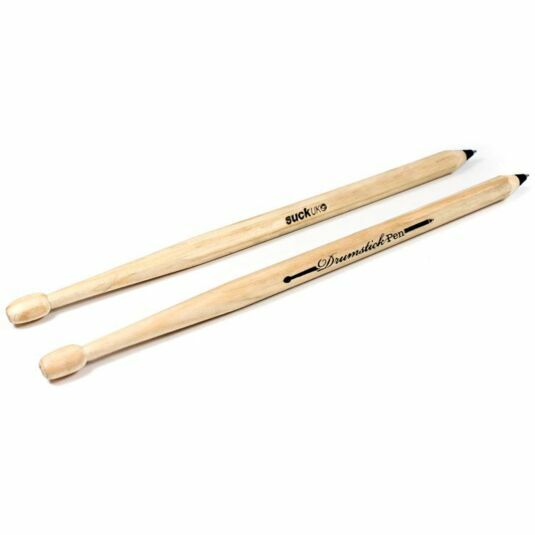 Just when your boss thought tapping a pen on the desk couldn’t get any more irritating, these Drumstick Pens are sure to be a ‘hit’ with everyone in the office. The most fun and creative dual-purpose pen on the market today, built for the inner creative genius in everyone, with or without rhythm! 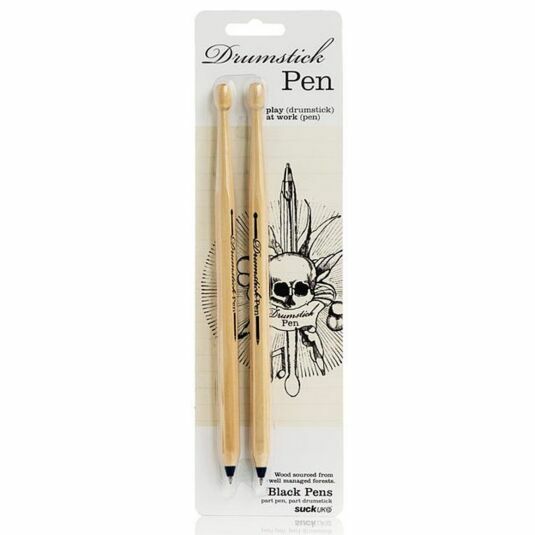 This pack contains 2 black pens, wooden in material and colour, with drum stick heads attached on the rear ends. A simple flip of the pen can turn you from chemistry whizz kid to Phil Collins! Made from wood sourced from well-managed forests, you can be assured whilst rocking out on your maths revision book that you’re not harming the environment. The perfect gift for those inner Gorilla suited drummers inside of us and those serious students who need to take a break now and again, everyone who receives this as a gift will be sure to rock out to the smallest of beats.